And neither do the carpenters. 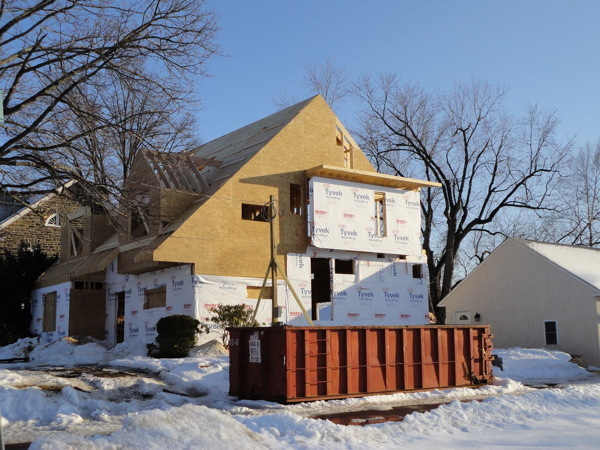 The roof is way along now, the front more so than the back, but we can see the massing of the house now. Its no longer overshadowed by its neighbor. And after the link we have a photo browser with more photos.